As a jeweller, it’s important to understand the hardness and durability of gemstones. This helps you determine what designs suit particular stones, how to look after them and how to prevent them from being damaged. Find out more about the Mohs Hardness Scale - used in geology to measure the scratch resistance of stones - not to be confused with the toughness of the stone! The Mohs Hardness Scale was developed by German mineralogist, Friedrich Mohs in 1812. The scale consists of 10 readily available minerals of particular hardness, ranging from soft minerals such as talc all the way up to hard minerals such as diamond. The scale is used to compare the scratch resistance of a mineral against these common materials, in order to measure the hardness. The Mohs Hardness Scale is non-linear and therefore does not provide a true reflection of the relationship between the hardnesses featured in the scale. There are many other hardness tools available but the Mohs Scale has been widely used across the world due to how easy and inexpensive it is. Although a stone may feature high on the Moh’s Hardness Scale, this does not mean that the stone is tough and won’t break - no gemstone is perfect, not even a diamond! Toughness is rated from poor, fair, good, excellent to exceptional. Although diamond is the hardest natural substance on earth, it is rated as ‘good’ for toughness as if it is hit at a certain angle, it can fracture and cause the stone to break. Corundum (such as ruby and sapphire) however are the most durable stones, measuring 8 on the Mohs Scale and considered ‘excellent’ for toughness. If you're wondering which stones are best for everyday wear such as an engagement ring, sapphire, ruby and diamond are wonderful choices. The toughness of a stone relies on its internal structure - for instance, crystal formed gemstones are weaker due to the inclusions within the stone. If the stone is knocked at a particular angle, it can be chipped or fractured. Emerald is an example of a brittle stone, which has many natural inclusions and therefore can easily break. Jadeite Jade and Nephrite Jade, on the other hand, measures low on the Mohs Hardness Scale at a 6.5 but is rated exceptional for toughness, due to its strong internal crystal structure. Other factors to take into consideration are external elements such as light, heat and chemicals which can cause a stone to change colour or even break. Amethyst and citrine for example are both stones that are sensitive to light and if exposed for long periods of time can become dull. This is why gemstones should always be stored suitably and separately to avoid any damage. Temperature is also something to consider as sudden temperature changes can prompt thermal shock, causing fractures and cracks. When wearing gemstone jewellery, we come into contact with chemicals on a daily basis, so it’s important to remember that gemstones can be damaged due to this exposure. Examples include cleaning, swimming, showering, using hair spray and perfume - so always be mindful of your jewellery when doing activities. When it comes to cleaning jewellery, a small dish of soapy water is all you need. If you use an ultrasonic cleaner (used to clean jewellery), the tiny vibrations may cause a stone to break or even lose its colouring if heat treated so always check whether the jewellery you wish to clean is suitable. Shopping for new gemstones for your designs is a fun task but you need to take into consideration whether the stone is suitable for your chosen design. Harder gemstones are great for everyday wear such as a ring or bracelet however softer gemstones need to be protected and are better suited as earrings or a pendant. Having an understanding of gemstones and their durability will help you design and create more successful designs in the future and help you guide customers on commissions. There are many soft gemstones used in jewellery designs due to their popularity. Opals are a great example of this - one of our most popular stones and it’s no surprise due to their stunning appearance. Although beautiful, it’s a delicate stone, measuring 5.5 and 6.5 on the Mohs Hardness Scale so they can be easily scratched. Opals also have high water content so if it is exposed to environments which have low humidity is can dry out and crack. 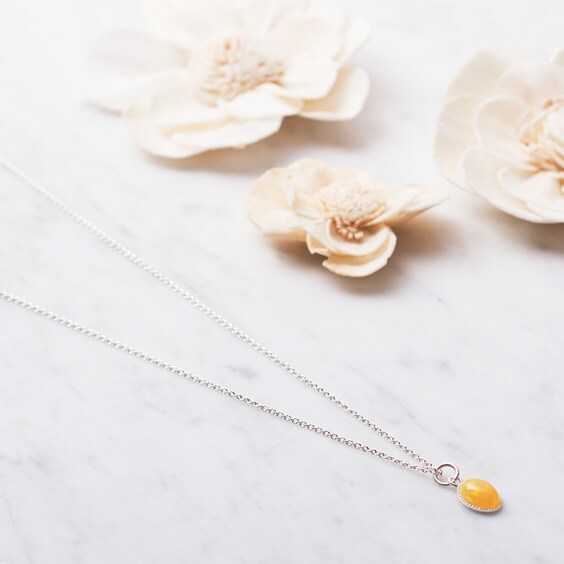 Always ensure you look after opal gemstones and create a setting that protects the stone from any forces which could harm it and if you're selling opal jewellery, inform your customers on this delicate stone so they can care for it appropriately. If you sell your own handmade jewellery and decide to use gemstones that can be damaged easily, it can be beneficial to provide a little note with the order or an information page on your website/selling page that gives a simple care guide for certain designs. Your customers will appreciate the added touch but will also be less likely to complain if something happens to it - such as the stone becoming dull because they left it on the windowsill or wore it in the shower! 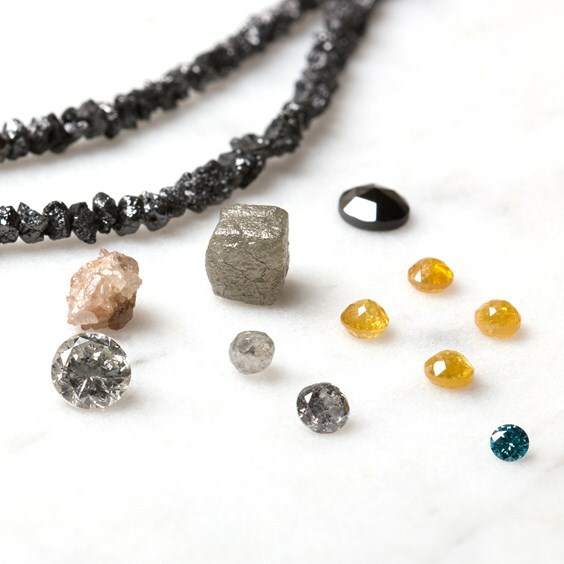 Take a look below at where the gemstones we supply feature in the Mohs Hardness Scale.